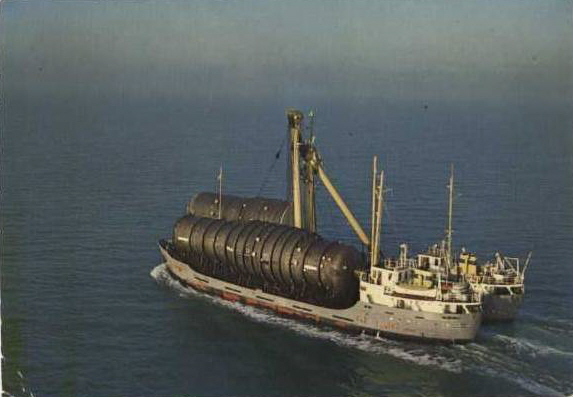 Right, so you thought the idea of Allseas creating a catamaran of 2 existing vessels (the Pieter Schelte) was new. Well, it wasn’t. Somewhere in the second half of the 60’s somebody had a brainstorm and got the wild idea to weld 2 coasters together, put on a heavy lift derrick and thus creating a Heavy Lift Vessel. (possibly the genesis of the Heavy Lift World). 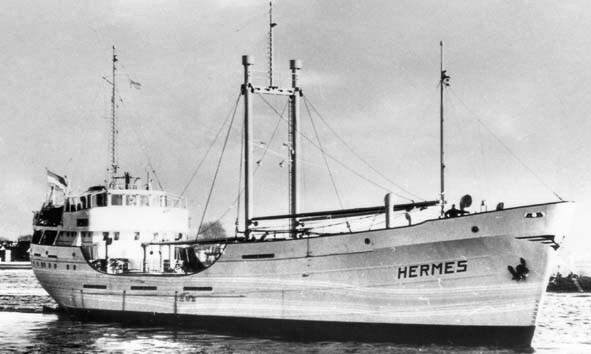 Both coasters were connected with Hada II on portside and the Hermes on starboardside with in the middle with a 1.3 wide section. 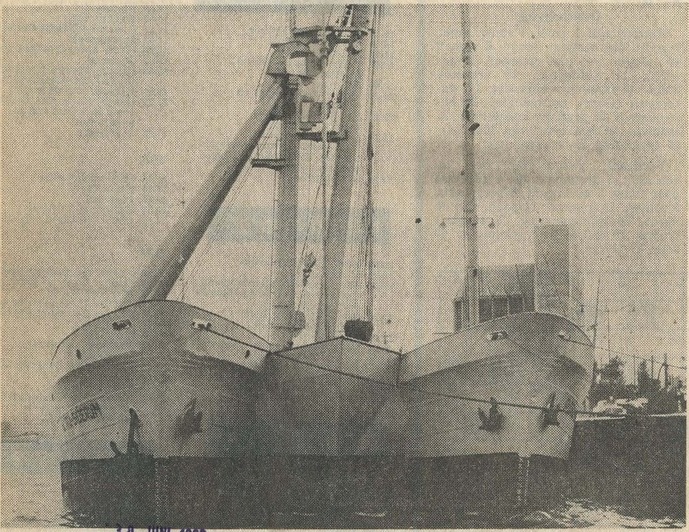 Both engines were used and the vessel was piloted from the stb-side. 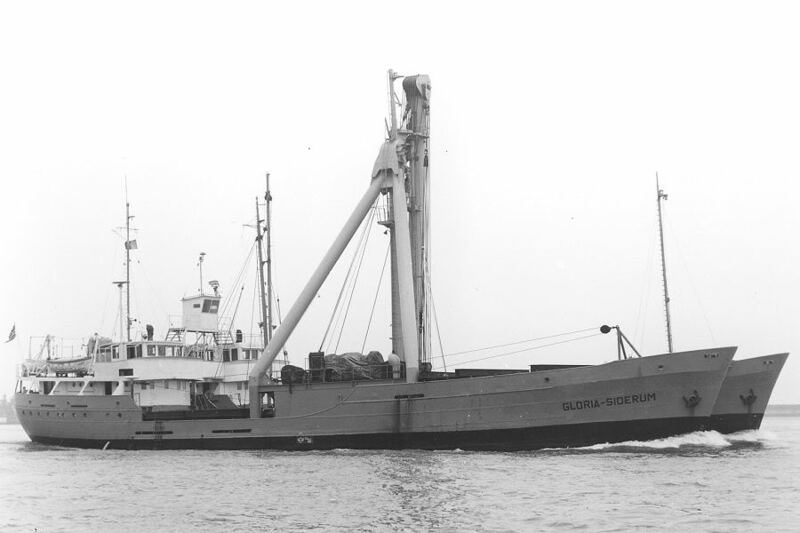 In 1983 she was sold to Panama and renamed Multi Service 300 and served the offshore industry. 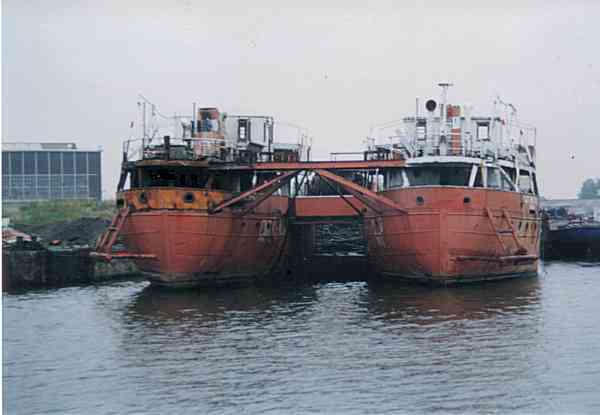 I have no idea what happened with her but she ended up in Amsterdam where she was scrapped in 1993. I could not find any pics of her during the time as Multi Service 300 so if anybody has any, please. I’m a bit curious! This vessel was pushing the limits, she is quirky but also kinda ugly so she deserves a place here on this site. I sailed on this ship for two voyages in 1970. 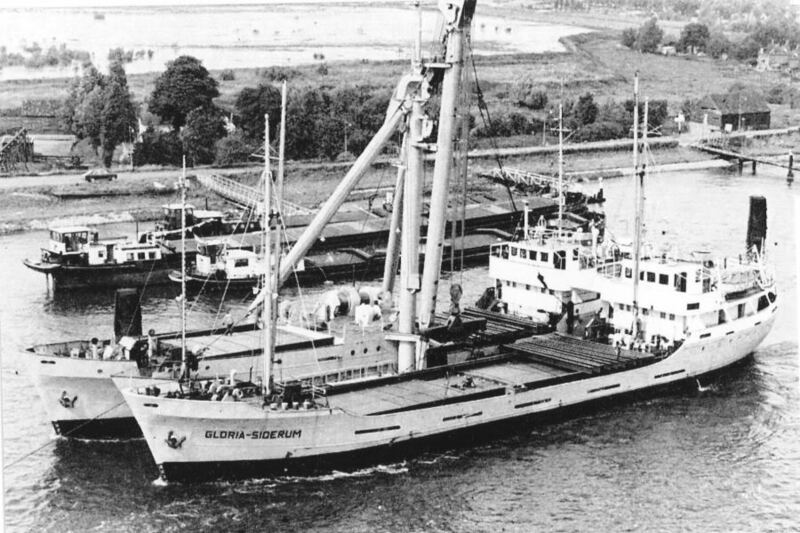 Shallow draft meant that it could load a massive piece of machinery from a Rhine barge at Dordrecht, upriver from Rotterdam, and sail to the Baltic Sea via the Kiel Canal. 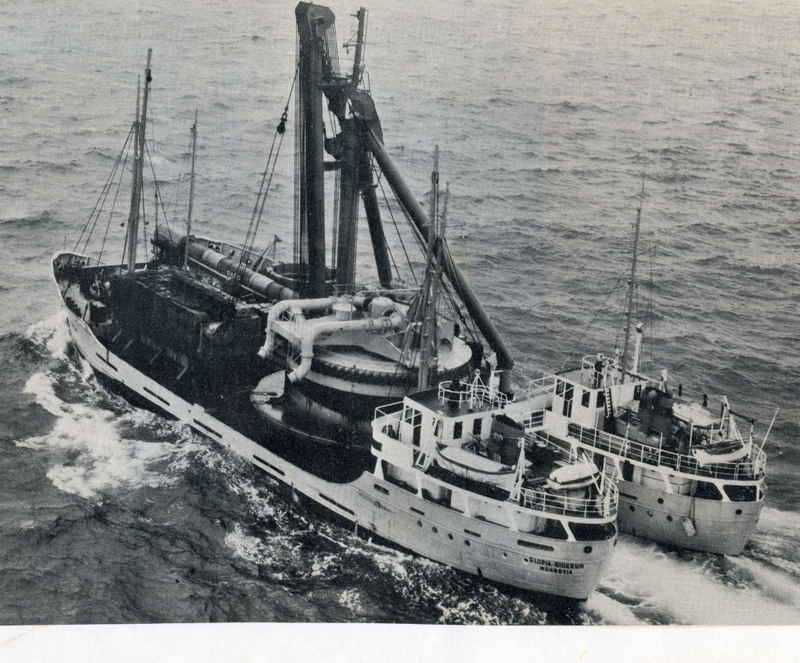 Because of the wide beam, the ship rolled very little but tended to crash into oncoming waves in heavy weather. 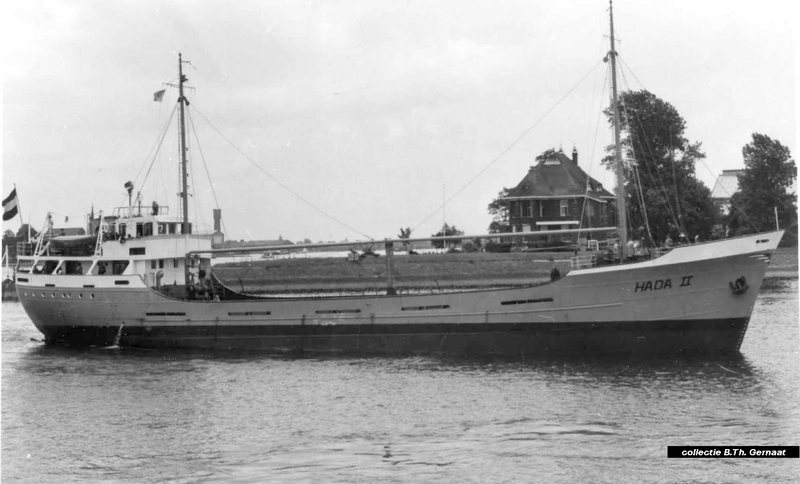 The deck crew were Spanish and the captain, first mate and engineers were Dutch.